Momentum Builds for UN Peacekeeping Force in E. Ukraine - Integration Through Media ....! 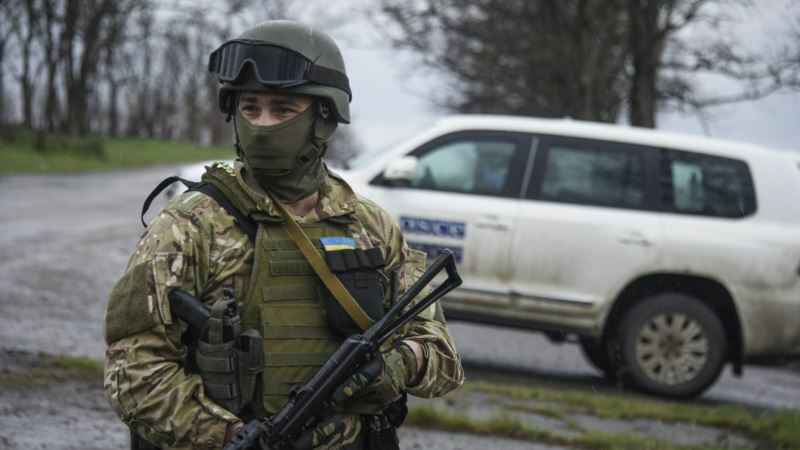 (VOA): A U.N. peacekeeping force in eastern Ukraine could pave the way for local elections within a year, according to a new report that aims to build on international momentum behind establishing such a mission. The U.S. special envoy to Ukraine, Kurt Volker, advocated the deployment of peacekeepers several months ago. Russian President Vladimir Putin has since suggested that he may accept a small U.N. force. The new report, commissioned by former NATO chief Anders Fogh Rasmussen, now an adviser to Ukraine's president, calls for a peacekeeping force of 20,000 soldiers from non-NATO countries, led by Sweden. It is hoped such a force would allow local elections to take place in eastern Ukraine within 12 months, a key part of the 2015 Minsk peace accords. The report will be presented to officials from all sides at this week’s three-day Munich Security Conference. The report was welcomed by the Principal Deputy Chief Monitor of the OSCE Special Monitoring Mission Alexander Hug, in an interview with VOA. More than 10,000 people have been killed in the conflict between Ukrainian government forces and Russia-backed separatists since April 2014. Most civilians don’t support the conflict or its aims, says Hug. Senior officials from Russia, Ukraine, Germany and France, the so-called Normandy format, will discuss the conflict on the sidelines of the Munich Conference, starting February 16. As a member of the U.N. Security Council, Russia could veto any peacekeeping mission.